Luxuriously comfortable and stylish, this Ultra Plush latex mattress is designed to bring you thoroughly relaxing and restful nights of sleep. The ultra plush feel delivers enveloping softness with deep support, providing ideal comfort for most back and side sleepers. Multiple foam layers offer cushioning from head to toe. A layer of compression-resistant Smart Latex senses your body weight to give you unsurpassed pressure relief for restorative sleep. Treat yourself to the expert craftsmanship of this mattress for a truly satisfying sleep experience. The Luxury Latex Tuscan Summer Villa Queen Ultra Plush Mattress and Box Spring by Stearns & Foster at Pedigo Furniture in the Livingston, Onalaska, Trinity, Coldspring, Corrigan, Huntsville, TX area. Product availability may vary. Contact us for the most current availability on this product. 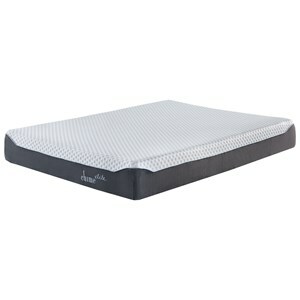 564934Q Queen Ultra Plush Mattress 1 14.25"
Fire Barrier Information High Loft Fire Barrier encompasses the mattress for protection from fire. Note: Mattresses manufactured for sale in Canada are not required by law to have fire barriers. Experience a luxurious night's sleep with a high-quality mattress from the Luxury Latex collection by Stearns and Foster. Multiple foam layers provide conforming comfort and cushioning from head to toe. Compression-resistant Smart Latex in select mattresses offers gentle support and unsurpassed pressure relief for a restorative, relaxing sleep. Give your body and mind the deep sleep you deserve with a mattress from the Luxury Latex collection. The Luxury Latex Tuscan Summer Villa collection is a great option if you are looking for Mattresses in the Livingston, Onalaska, Trinity, Coldspring, Corrigan, Huntsville, TX area.